Having just had my third baby & being much more low-tox, ethical, sustainable & generally more mindful of my contribution to the world, I’m doing things a bit differently this time. I am not perfect & am not claiming to be, but I genuinely believe if we all take some micro-actions to better the planet, it can make a big impact. Say yes to hand me downs & loans! There is a lot of crap that babies use in the first year or so that then becomes obsolete…..
We have been given a cot from a family friend. We gave this same family friend a car seat my boys had grown out of a few years ago, along with a lot of toys. I had to buy 2 fitted cot sheets, so I opted for ones made from bamboo as a more sustainable, less sprayed material. We are borrowing a baby capsule seat & bouncer from a friend, who already had both items on loan to other friends (yay to me being at least the 4th person to use!). Baby Bjorn – my Godmother gave me the Baby Bjorn her daughter used & no longer required. Clothes – 2 very generous Mums (thank-you again Vic & Sheree!) have literally given me over a garbage bag each worth of baby girl clothes & im using the blankets I already had for the boys. 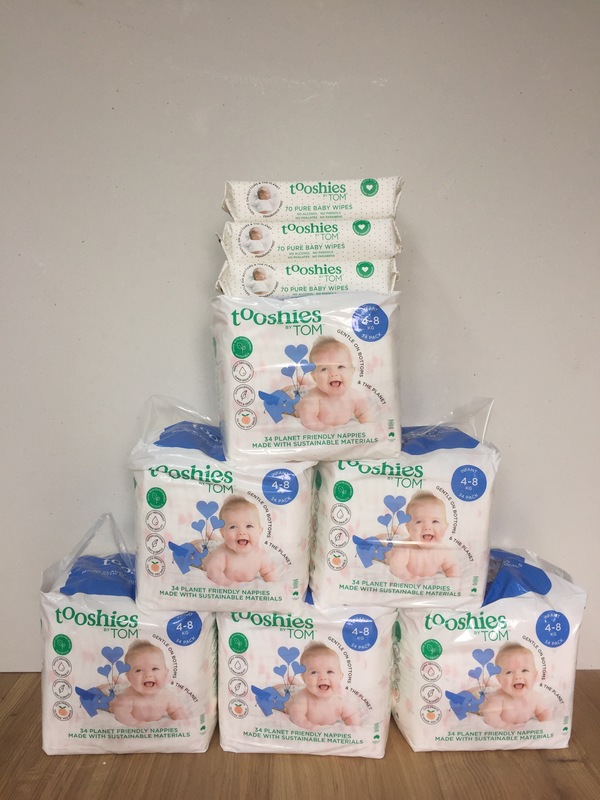 I have chosen to buy Tooshies by Tom nappies & wipes, which are a more sustainable option. I bought a new pram as we live in an area where we do a lot by foot including walking my 2 sons to & from school every day. Baby products – I bought Little Innoscents 100% talc-free “mineral powder” & Wotnot baby lotion. I refuse to buy chemically laden brands like Johnson & Johnson. I wasn’t educated enough at the time my previous sons were born to do this. What are your sustainable choices?